If you think only states with sizzling temperatures are suited to solar PV, think again. After all, solar power doesn’t rely on heat, but on sunlight. This means that even on a freezing cold day, your solar panels can generate electricity. Which brings us to Tasmania, Australia’s coldest state, but one that has led the way when it comes to renewables and protecting the environment. Hobart solar power can be just as rewarding as anywhere in Australia, especially with the city’s long summer daylight hours. The island state has abundant rivers and lakes, and Hydro Tasmania operates 30 hydropower stations. As a result of all that hydro, Tasmania has the highest renewable energy usage of any state. Currently 93 per cent of the power Tasmania uses is renewable, predominantly from hydroelectricity. Hobart nestles under the often snow-peaked Mt Wellington. Hobart, founded by the British in 1804 as a penal colony, is Australia’s second-oldest city and Tassie’s capital. These days, the city’s main industry is tourism, with visitors enjoying Hobart’s fine dining and historical sites. Nearby Port Arthur is a former convict settlement notorious for its isolation and cruelty, with many of the original buildings still standing. Tasmanians value their state’s environmental beauty alongside its hydroelectric potential. In the seventies and eighties, successful opposition to the proposed construction of the Franklin Dam hydroelectric project in western Tasmania kick-started the Greens movement in Australia. The Tasmanian Wilderness World Heritage Area now protects one of the last true wilderness regions on Earth. The Tasmanian Wilderness occupies almost 20 per cent of the island. In April 2017, federal and state leaders announced a plan to boost Tasmania’s clean energy capacity by creating the Battery of the Nation. The Battery of the Nation plan is in response to the growing amount of solar and wind generation in the national grid. These sources are variable, which means the sun doesn’t always shine and the wind doesn’t always blow. So energy generated under ideal conditions must be stored for later use. This huge arch dam in Tasmania could serve as a giant energy storage system. Pumped hydro is a technology for storing large amounts of clean energy. Water is pumped from a lower to a higher dam using solar or wind energy. That renewable energy is therefore stored as potential energy, subject to the power of gravity. When it’s needed, the water’s released to the lower dam again, flowing past a turbine to generate electricity. Some 96 per cent of the world’s electricity energy storage uses pumped hydro. The Battery of the Nation refers to Tasmania’s combined pumped hydro storage capacity, linked together to make one giant battery subsequently linked to the mainland via a new interconnector. Hydro Tasmania has identified 14 options as the state’s best pumped hydro storage opportunities. There is one electricity distributor and one retailer in Tasmania. TasNetworks is a state-owned monopoly that transmits power from generation sources to homes and businesses through transmission towers, substations and power lines. The government also owns Aurora, which is the only electricity and natural gas retailer in the state. According to the Photovoltaic Institute, 13.3% of eligible dwellings in the Hobart local government area have solar panels installed. This ratio of solar panel installation is lower than the average for Australia, which is about 23%. The majority of these Hobart solar power systems are also under 10 kW. lose their eligibility for the Legacy feed-in tariff. 2. Legacy feed-in: 28.283 cents per kW. Fixed until 31 December 2018. This rate applies to customers who meet the eligibility criteria for the Legacy feed-in tariff (closed to new applicants). A 5.3 kW rooftop solar power system (20 x 265 Watt solar panels) in Hobart can return an approximate annual financial benefit of up to $1,869. However, this figure will vary depending on the installation circumstances – such as which direction the panels are facing and household power consumption. If we compare average daily systems from northern to southern capitals, Brisbane’s output stands at 22.932 kWh – nearly 6 kWh higher. This is hardly surprising, since Brisbane has 2.5 times more sunny days per year than Hobart. 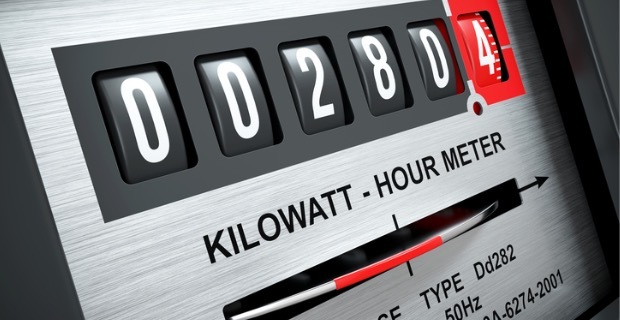 Kilowatt hours (kWh) are a measure in thousand-watt steps of how much energy something uses (or produces) in an hour. A 1,000 Watt microwave running on maximum for one hour uses 1 kWh of energy. A 1 kW solar panel running at maximum capacity generates 1 kWh of energy in one hour. You can really only get the most value out of your solar panels if you have a battery. Because without one, all those kWh of energy go to waste. That’s because without a battery you have to use the energy generated by the panels as it’s being created. If you’re not home to use it, it simply vanishes. But if you have a battery, you can store that day energy away and draw from it at night or on an overcast day. Support for Hobart solar power panel installations also comes from the Renewable Energy Target scheme, which issues small-scale technology certificates (STCs). These then have a financial value and give customers a point of sale discount on the installation of their solar panels. This can finally amount to thousands of dollars, depending on the size of the solar panel system. You can find out how STCs are calculated on Energy Matters’ STC information page. The Tasmanian Energy Efficiency Scheme (TEELS) for solar installations runs until 30 April 2019, or until the additional $20 million finance pool dries up. Under the scheme, Westpac offers Tasmanian residents and small businesses the opportunity to apply for a Westpac Credit Card. It has zero interest for 36 months for eligible energy efficient products up to a value of $10,000. Find out more about TEELS here. Energy Matters is an award-winning, CEC Accredited retailer installing solar panels and home batteries across the country for more than a decade. 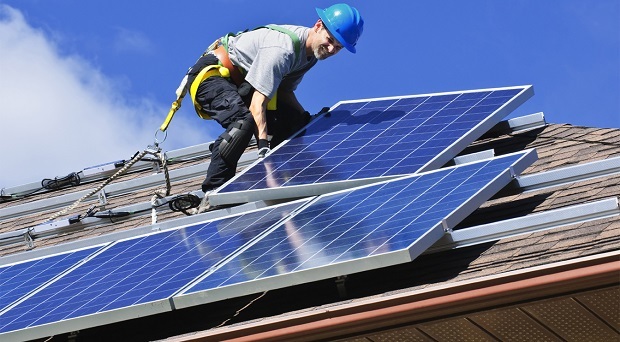 If you live in Hobart, Energy Matters can help you go solar and lower your electricity bills. If you want to boost energy independence with a battery system, we can help there too. Contact our friendly experts on 133 786 for a chat about your situation and also how can you take advantage of subsidies and loans.